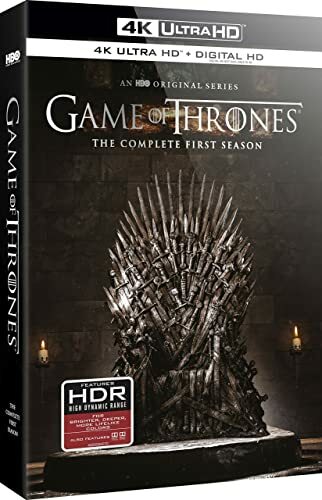 As previously reported, HBO is preparing to release the first season of Game of Thrones in 4k Blu-ray format on June 5th. In time with that, we’re pleased to announce a contest to win a copy of the Blu-ray! This contest is, first off, US only! But that said, there’s two of these Blu-ray collections on offer. You’re allowed two entries, and only two, one each for Facebook and one for Twitter. To enter via Facebook, post to the comment thread of this very post either directly at Westeros.org or via the Westeros Facebook Page. To enter via Twitter, simply reply send us a reply to the tweet about this post on the Westerosorg timeline. Winners will be chosen on the 5th of June, with the sets sent out on June 6th.